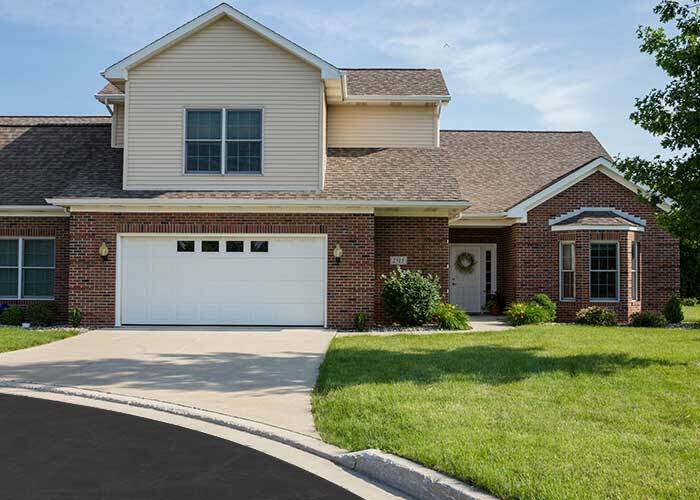 Imagine enjoying the comfort and privacy of your own apartment or of a Chapman’s Crossing home at The Towne House without the concerns of yard work, snow removal or home maintenance. If residents enjoy traveling, they are free from worrying about the safety and security of their home and belongings. Services from The Towne House housekeeping staff keep homes fresh and clean while residents take part in the day’s activities. The Towne House features many different home styles so that residents may choose the floor plans and features that best fit individual preferences and lifestyles. Choices include one, two and three-bedroom models, as well as two styles at Chapman’s Crossing. 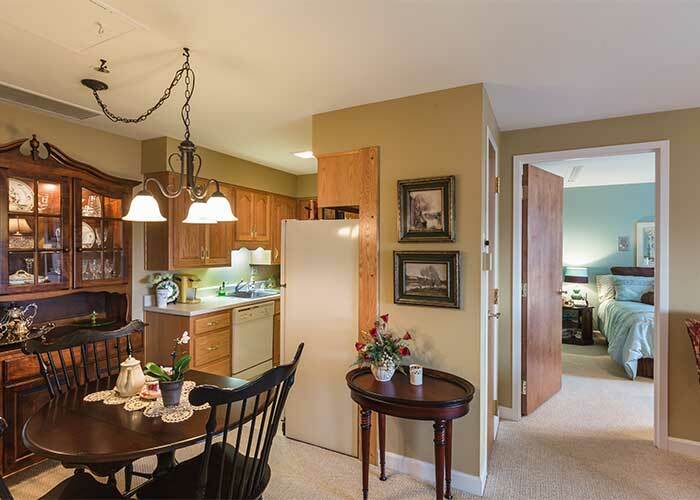 Residents may choose to have breakfast, lunch, dinner or all three in one of The Towne Houses dining venues. The “Dining Dollars” dining program gives residents the ability to plan their meal times as they wish. Private apartment in our community. Private home in Chapman’s Crossing located on our campus.